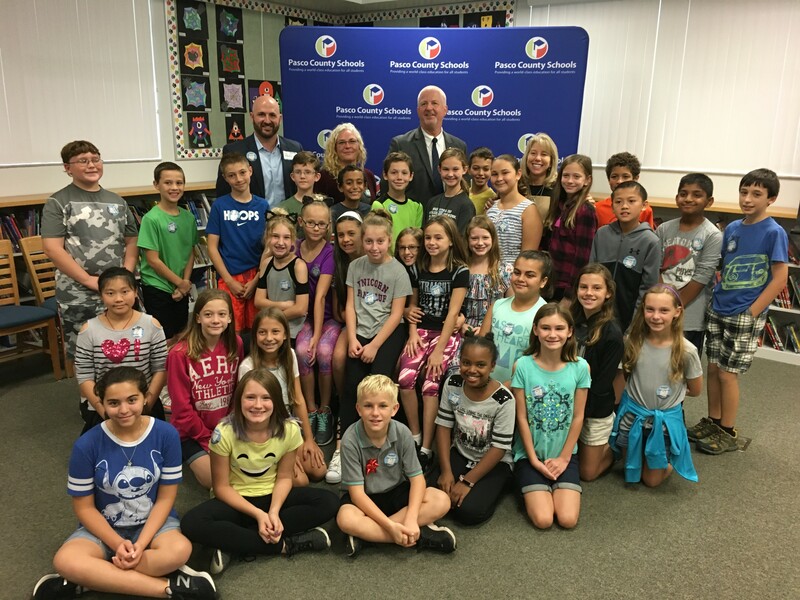 Land O’ Lakes, FL – (December 5, 2017) – On Monday, Odessa Elementary School 5th graders accepted a bench made out of recycled plastic bags from contest sponsor, Trex, Inc., as the school’s prize for recycling almost 2,500 pounds of plastic bags between Aug. 31 and Nov. 15. Odessa Elementary principal Teresa Love kicked off the awards presentation, followed by Superintendent Kurt Browning, who presented the bench to the students and encouraged them to continue their recycling efforts. Browning was followed by Matt Seaholm, executive director of the nonprofit Plastics Industry Association. He taught students about plastics manufacturing and recycling. The event “wrapped up” with the district’s recycling coordinator, Salinda Strandberg, teaching the students how everything associated with gift-giving, from the shopping bag to wrapping paper, can be recycled (except for the ribbon). Before going back to class, students autographed A Bag’s Life banner. Never a dull moment in the Pasco County Schools Recycling Department. During the school year we have contests and the surplus store; but what do we do in the summer when schools out? We visit with our PLACE programs and promote recycling at home and at school. Do you know that its free to recycle from home if you have curbside trash pickup? Since only 30% of the people in Pasco County that can recycle do, I'm guessing you might not have known that. Did you know that last school year Pasco County Schools saved almost 30,000 trees by recycling our used paper? Or that Earth Patrol is available in ALL schools from Elementary to High School? Our PLACE program students can tell you all about it and more! 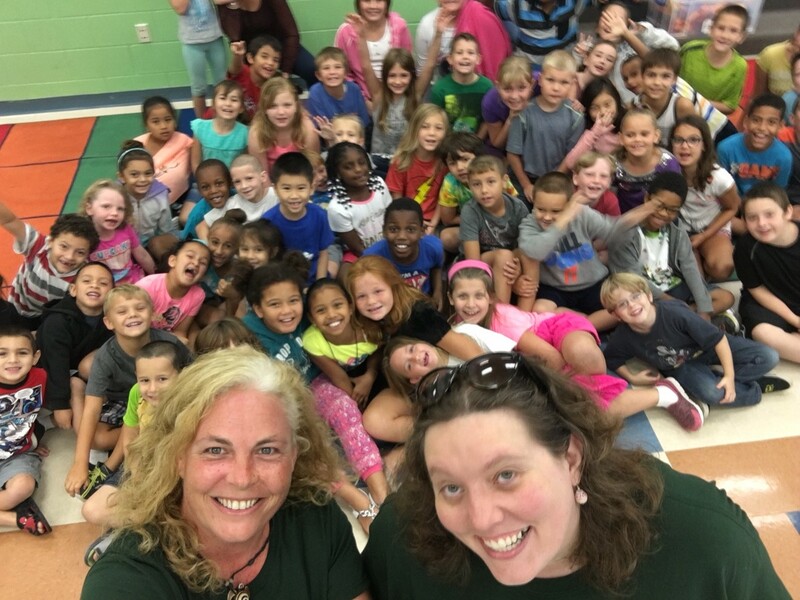 Every PLACE program, STARR Academy and Delta Academy has the chance to have the Pasco County Recycling Coordinator (Salinda Strandberg) and a representative from the Pasco County Recycling Transfer Station (Rachelle Dobbs) come out to their site for an hour of talking about the importance of recycling and what we can do everyday to make a difference. Summer isn't the only time these presentations are available. If you are interested in having us come to your class or school at the start of a recycling unit or anytime during the year, just contact the Recycling Department at 813-794-2380.